Back-to-school season is here, but whether it’s a cause for celebration or despair depends on who you ask. The end of summer offers a great opportunity to get your home ready for the new school year, and these easy tips for back-to-school season will have you ready in no time! 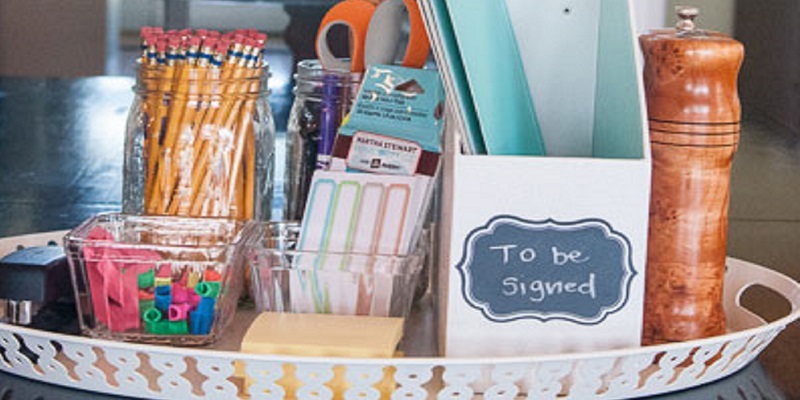 One of the best tips for back-to-school organization is to keep your schedule organized. Once school’s back in session this can be one of the biggest challenges you face. The more kids you have, the more complicated it gets! A great tip for back-to-school is to have an up-to-date calendar will help everything else fall into place. Oversized dry-erase calendars are the best because they have more room to write and you can reuse them every month! Your home is about to house an endless supply of books, backpacks, clothing, homework, hand-outs and who knows what else. Before the school year starts, go through all your closets and storage areas. Organize what you need, and donate what you don’t. You’ll be glad you did! Set aside a drawer and a section of your fridge for healthy snacks—things like fruits, vegetables, granola, cereal bars and fruit juice. That way, snacks for school and healthy after-school treats are always easy to grab. What parent hasn’t been frustrated by kids who immediately dump everything on the floor when they get home from school? 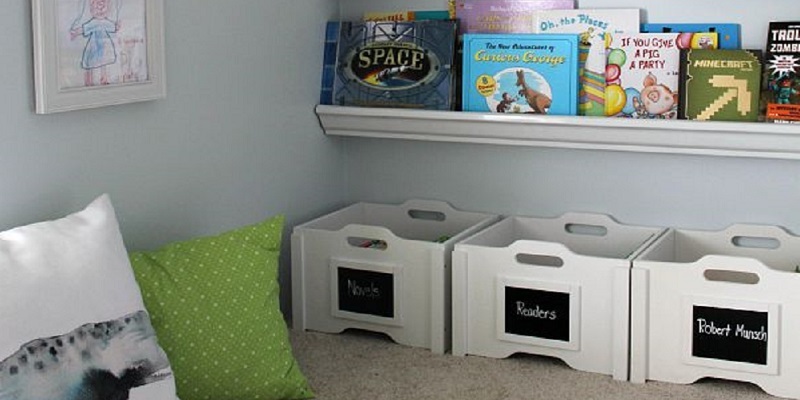 Devise a better system for backpacks, like adding cubbies or extra hooks near your front door. That way, coats, shoes and backpacks are always neatly organized in the same area. 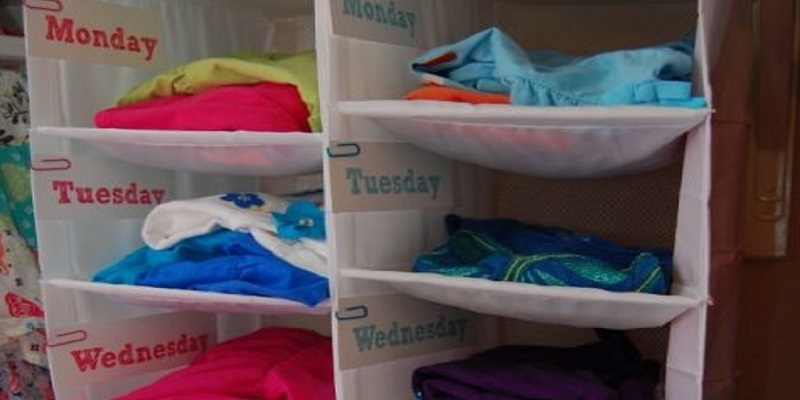 You and your kids can plan a week’s worth of clothing ahead of time. Getting it all laid out at the beginning of the week—tip: hanging closet organizers are great for this—will take the drama out of picking an outfit each morning. 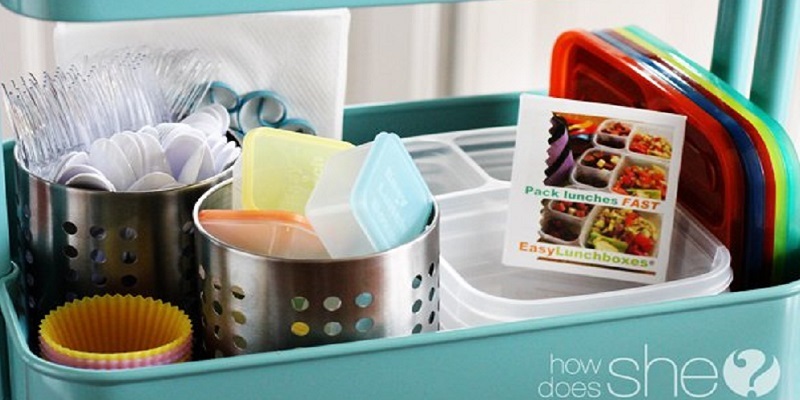 Similar to the snack station mentioned above, the idea is to make lunchbox-packing a lot simpler. Set aside some cupboard space for things you routinely need for school lunches, and keep essential sandwich-making supplies together in the fridge. Also, it helps to prepare lunches the night before, and why not make it a fun project by having your kids help out? 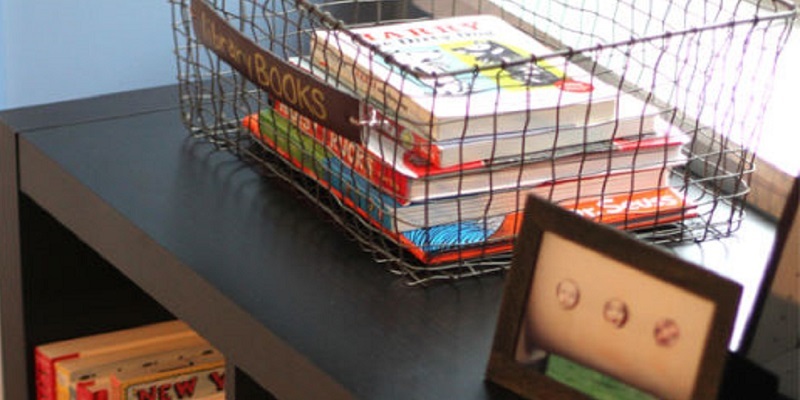 Create a fun homework “command center” where your kids can get their homework done. Keep it well-stocked with all the supplies they need to work, but without any of the distractions. Another great option is to put together portable homework caddies, so each youngster can take all the supplies they need to work on homework someplace they feel comfortable. It’s a universal fact that when a houseful of kids get ready for school, somebody ends up fighting over the bathroom. 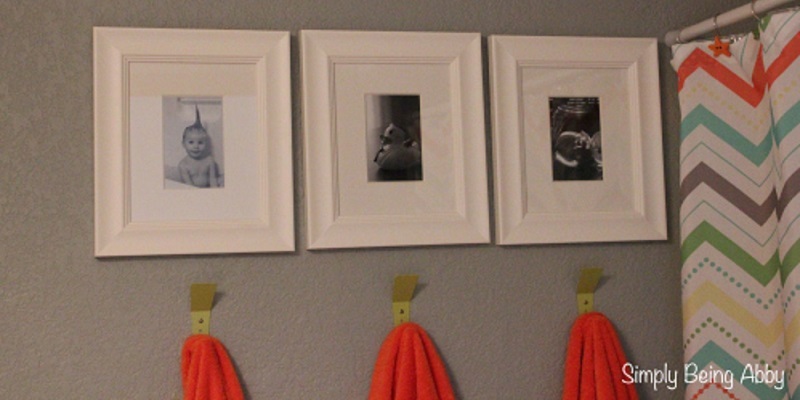 Streamline the process by setting up individual cubbies or hangers in the bathroom or a nearby closet. This way everybody can easily find their own personal towels and toiletries. Place two baskets in an easy-to-find location. One is for library books that are still being read, and the other is for books that are ready to be returned. No more lost books and late fees this year! There are countless ways to get your home ready for the new school year, and now is the time to get moving! It’s also a great time to check out the new Back to School Sale from MileStone. Rather than fighting the crowds for school supplies, you could be saving up to 8% off a dream home perfect for implementing these tips for back-to-school fun and organization.